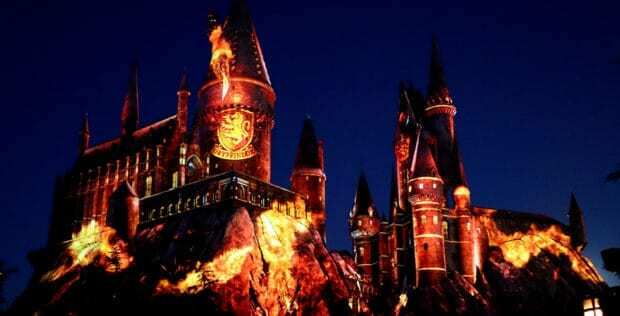 The Wizarding World of Harry Potter at Universal Studios Hollywood is lighting up the night sky once again! 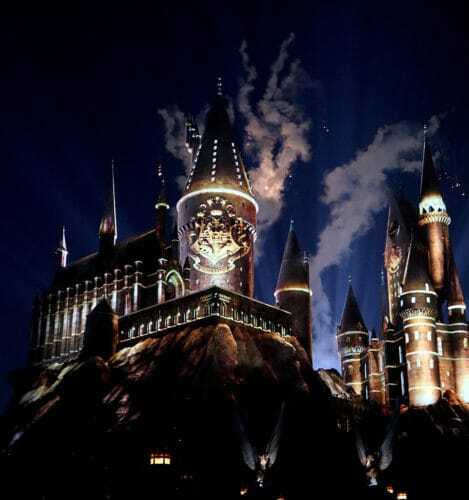 ‘The Nighttime Lights at Hogwarts Castle’ dazzles guests after sunset to creative and even more immersive experience in the park. 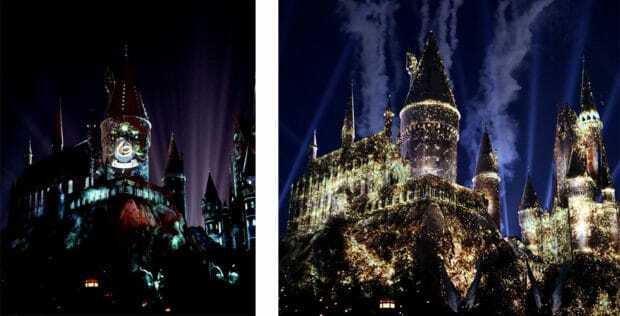 This nighttime projection show illuminates the famed wizard school showcasing the houses of Gryffindor, Ravenclaw, Hufflepuff and Slytherin. 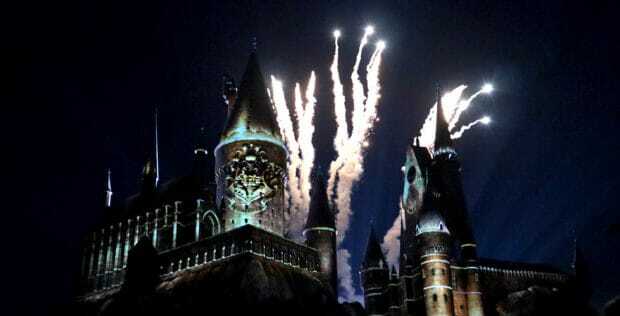 A special musical arrangement created by Academy Award-winning composer John Williams accompanies the high-def spectacle. This six-minute production runs several times nightly through Labor Day. 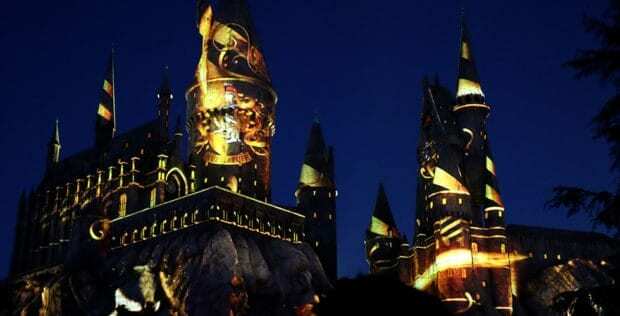 It can also be seen at Universal Orlando on select nights.